Talk may be cheap, but talk is Hillsboro's Steve Paranto's latest pickleball venture. 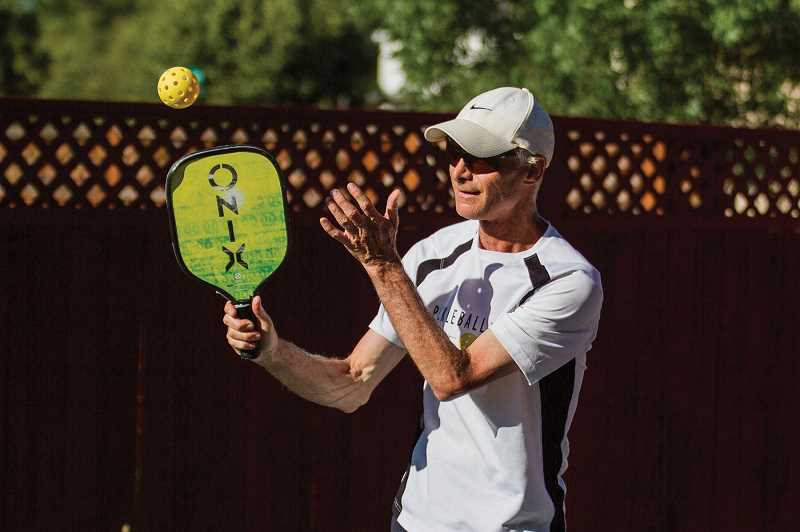 The 64-year-old retired physical education teacher has spent the better part of his retirement playing, teaching and growing the game of pickleball. But now — with the game's best interests in mind — the former Pacific University graduate is contributing by way of the spoken word. "Pickleball Talks with Steve Paranto" is where it's at if you're a pickleball enthusiast. The new podcast, which started roughly two months ago, was created to grow the game. But Paranto said it's not just about playing and the players who play it. He wants to answer people's questions: equipment, instruction, rules, and how the best pickleballers do what they do. "The reason I wanted to do it was that all the podcasts they currently have just interview the top players — they give their canned answers, and the public can't get involved," Paranto said. "I love talk shows. I wanted ('Pickleball Talks') to allow for anyone across the country to call in and ask the top players questions, and be able to talk about the politics of the game." Podcast are far from a new phenomenon, but in recent years, they have grown more popular — seemingly by the day. There are more than 600,000 different podcasts available on iTunes, and more than 28 million episodes. In 2013, just 10 percent of the United States population listened to a podcast on a monthly basis. Now, more than 30 percent do. Nielsen said that in 2018, more than 16 million people identified themselves as "avid podcast fans." Since his first show with Timothy Nelson, also known as the "Puppet Master," Paranto has been speaking with the world's best players about what makes them and their game tick, but he also tackles issues such as the rating system and ball, which is presently a hot topic in the pickleball community. "There's a lot of political stuff going on right now with our game that people want answers to," said Paranto. "The rating system has a lot of flaws in it, and that affects your bracket — especially if you're like me, 64 and still a 5.0 player, but playing against a bunch of 20-year-olds. "Also, people are arguing over the ball. Why don't we just have one ball, and why do we just leave it up to tournament directors to decide which one we'll use?" Paranto has been playing pickleball for more than 40 years, and over the last eight to 10, it has become his passion. He regularly travels around the country playing — and often winning — events, teaches the game to beginners and experts alike during the summer months, and has worked to help grow the game. The podcast is his latest effort to keep the pickleball movement going strong. There are more than 3 million documented pickleballers in the United States, and in recent years, the game has been growing by a rate of 10 percent annually. It's that popularity that helped inspire one of the game's pioneers to invest more than $9,000 in microphones, headsets, computers and soundproofing for his studio. "This is about growing the sport," Paranto said. "Our goal is to get it in the Olympics." The former P.E. teacher had no direct experience in broadcasting when he started, but with a history of listening, a keen interest in the art and the gift of gab, Paranto has seamlessly translated his passion for the game into a series of free-flowing conversations with some of the game's greats. In addition to the "Puppet Master, " he's had on Simone Jardim, the No. 1-ranked women's player in the world; Tyson McGuffin, the top-ranked men's player in the world and founder of the World Pickleball Foundation; and Rob and Shonda Davidson, a top husband-and-wife team who came on the Valentine's Day show to discuss working together both on and off the court. Future shows include a question-and-answer session with Kaitlyn Christian, a nationally ranked professional doubles tennis player and highly ranked pickleball player; world-renowned golf instructor Hank Haney; and, this coming week, representatives from the four largest ball manufacturers on to discuss their products and take phone calls from current or prospective customers. "I feel in order to get the best ball, we need competition," Paranto explained. "So I'm having someone from the four big ball manufacturers on the show to tell us why theirs is the best. Then I'll open it up to the callers to talk about their experience with the various balls." On this night, his guests were Wes Gabrielsen, a 35-year-old McMinnville schoolteacher and tennis coach who is also one of the game's elite, and Paranto's longtime doubles partner, Randy Bither. The two talked technique and strategy with the host over some of Paranto's homebrewed beers, then took questions from callers from Salem to Minnesota and beyond. "We had more than 35,000 people who listened in the first month," said Paranto. "They've also been all over the map — India, Spain, Canada, Australia, Finland, Thailand and more." 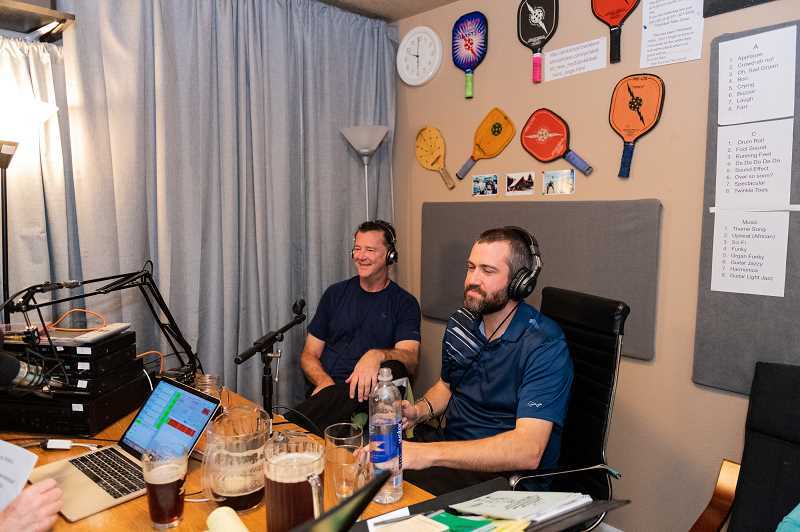 Paranto said that what differentiates his show from other pickleball podcasts are the intimate and open conversations, in addition to the candidness regarding key aspects of the game. Paranto said he's unafraid to tackle the game's tough topics. He even resigned his seat on the board of the World Pickleball Association to avoid any appearance of bias or conflict of interest. "I was getting myself too involved with political aspects on the radio, and people were always suggesting a bias because of it," Paranto said. "They were always like, 'Yeah, of course you think that, you work with the WPA.'" So what's the future of "Pickleball Talks With Steve Paranto?" For now, Paranto is seeking sponsors in an effort to merely break even. But going forward, he hopes that his passion, along with the sport's growing popularity, could turn his passion project into a potentially profitable enterprise. "I'm enjoying it, and the game of pickleball is off the charts right now," he said. 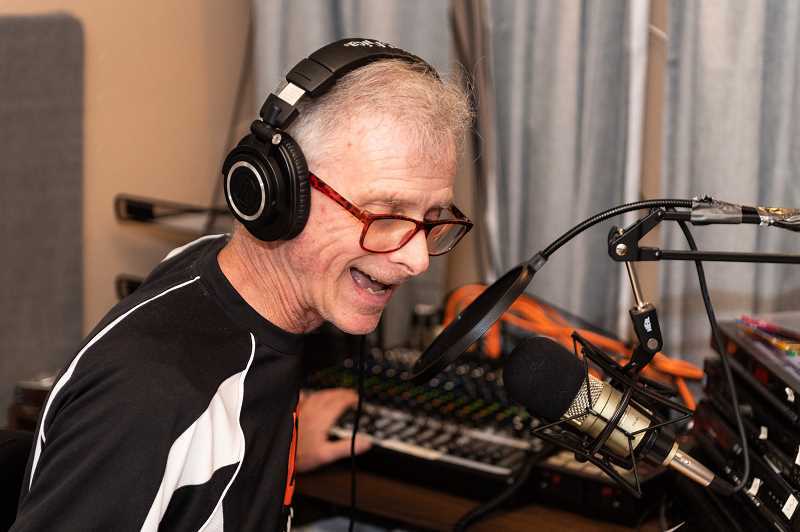 You can find "Pickleball Talks With Steve Paranto" on iTunes, Stitcher, Spotify and other podcast apps.